Famous for its majestic ruins, Mexico has gone to great lengths to preserve and display the remains of its pre-Hispanic past. 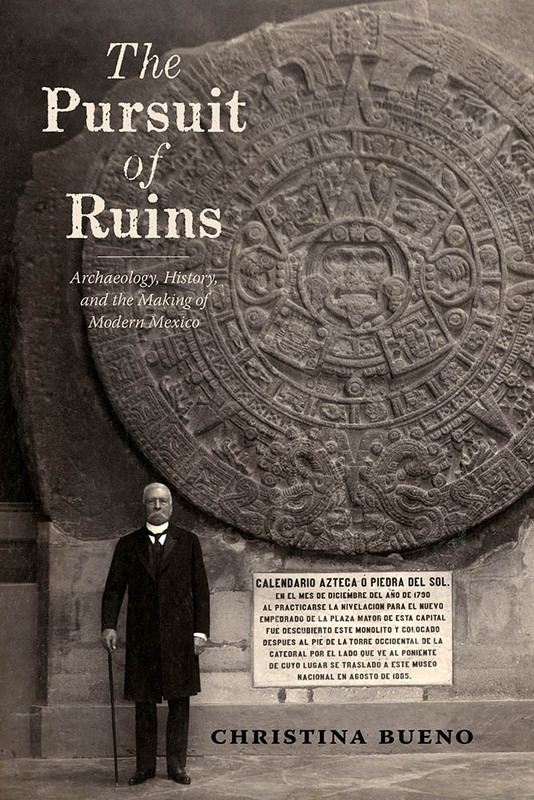 The Pursuit of Ruins argues that the government effort to take control of the ancient remains took off in the late nineteenth century during the dictatorship of Porfirio Díaz. Under Díaz Mexico acquired an official history more firmly rooted in Indian antiquity. This prestigious pedigree served to counter Mexico’s image as a backward, peripheral nation. The government claimed symbolic links with the great civilizations of pre-Hispanic times as it hauled statues to the National Museum and reconstructed Teotihuacán. Christina Bueno explores the different facets of the Porfirian archaeological project and underscores the contradictory place of indigenous identity in modern Mexico. While the making of Mexico’s official past was thought to bind the nation together, it was an exclusionary process, one that celebrated the civilizations of bygone times while disparaging contemporary Indians. Christina Bueno is an associate professor of Latin American history and Latino–Latin American studies at Northeastern Illinois University.